Merry Christmas! I can’t believe I even typed that. Where did the year go? It feels like yesterday we welcomed MiniE into our lives. It doesn’t seem that long ago that I graduated Grad School. All these milestones are over and it’s time for Christmas. This year I wanted to go bigger. This year I didn’t just want to tell you about my favorite things. I wanted to give them away. So consider this my best Oprah impression because I am doing the BIGGEST giveaway I have ever done full of my favorite brands that are sure to make the runner on your list (or you) smile big. ProCompression: Most runners will tell you how nice compression is for long running. ProCompression has combined form and function with these socks. Oiselle: These pants by Oiselle are Ah-mazing. The fit is perfect for running and grocery shopping and just about everything. Sparkly Soul: These headbands REALLY don’t slip. I personally love the wide bands but you get to pick if you win. Mizuno Wave Rider 17: These are the NEWEST shoes from Mizuno. A great neutral shoe that I love. You can see my review here. 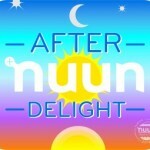 Nuun: Oh Nuun, I love thee. Right now, I’m obsessing over the Cherry Limeade. Timex: My day to day watch is this Timex Ironman Sleek. One lucky reader will get outfitted with ALL of this. So register today and come back everyday to increase your chances to win. *Actual Timex watch color may vary. 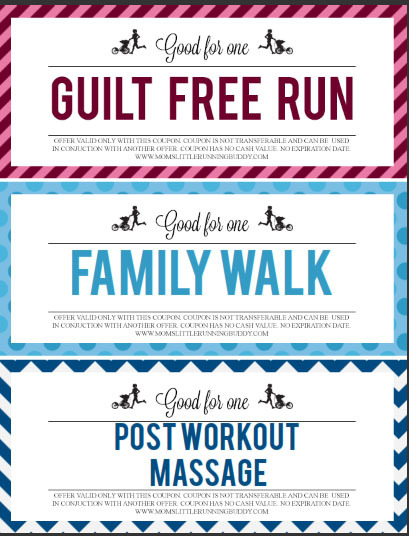 Oh and don’t forget to check out these Printable coupons for you to sneak into the runner’s stocking in your life. PDF Printable available here for free! Amazing giveaway! 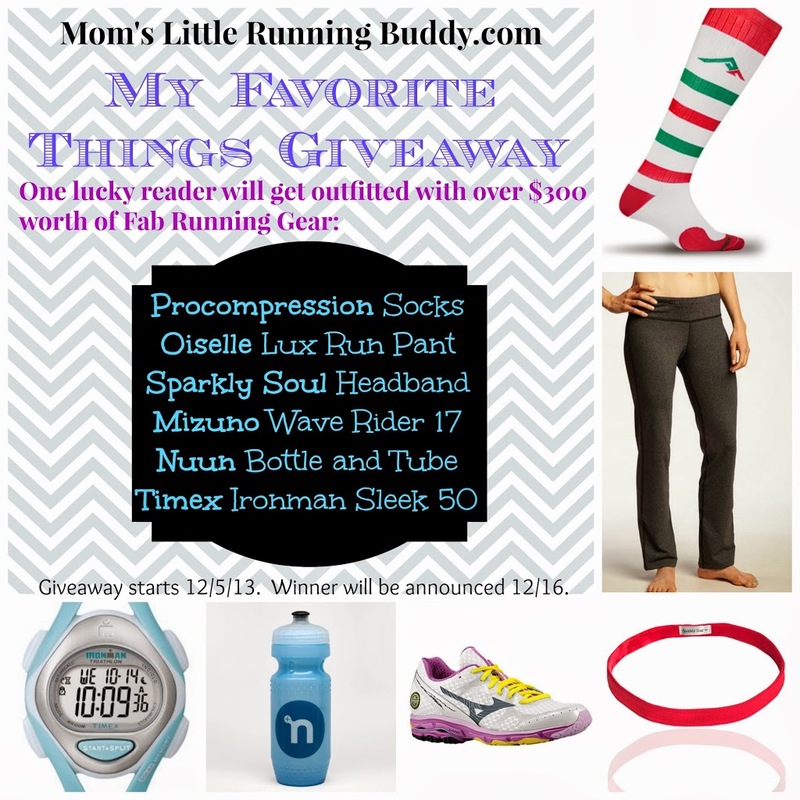 You’re giving away 4 of my favorite things: Mizuno, oiselle, Nuun, and pro compression! I’m sad because my favorite shoes (Mizuno Wave Nirvana) have been discontinued. But I love nuun hydration and balega socks. I would love it all. I’m new to jogging, so any of it would be great! Thanks for hosting such a great giveaway! Shoes, cold weather gear, race entries…these are a few of my favorite things! Oh my goodness! This is a great giveaway! All I would add are something from Tommie Copper, and a Handful bra! great giveaway! some of my favorite items and some new-to-me items. You have several of my favs (Mizuno, Pro, etc). My other favs are the road ID, garmin, and sport beans. Pro compression socks are on my favorite list too. Pick me! I’m in the Army and run around 5+ miles a day. I’ve been dying to try the Mizunos!! On my wish list for sure! Oh the choices. Any of the gifts would be great for this runner! What an awesome giveaway! Wow, that’s quite an Oprah impression! What an amazing giveaway! I never take my Timex Ironman off & think it’s the perfect gift for runners. And love the holiday stripes from Pro Compression. Who am I kidding? It’s all fabulous gear. I want it all!! I’m always on the lookout for pants that take me from a run to the grocery store. Adding those to my favorites! I am a huge Mizuno fan, only wear those shoes to run! I only run in Mizunos! Best shoe by far. Awesome favorites! Love me some Mizuno! What a great list! def want to get my hands on the xmas compression socks! i would love new shoes!!! I was eyeing up those cute socks yesterday! The socks are one of my favorite things. Four of the things on this list are already on my list! Oiselle, ProCompression, Nuun, and Mizuno! Right now my new Smartwool beanie cap is my favorite. This is an amazing giveaway! Wants or favorites? Ha! This entire giveaway is on my want list. My favorite right now happens to be my ear wrap for outdoor runs. I almost want to wear it just to go outside when its windy! Can’t really disagree with this list – Oiselle, Nuun, ProCompression, Mizuno… definitely all of my favorite things!! Oiselle and Nuun are a must for me right now. Great list though! Great ideas for anyone!! Love ProCompression socks! I would love another pair! Heck yes to Oiselle, Nuun, and ProCompression!! Oiselle anything is on my list! Definitely could use some new shoes and would love to try out the other products! Definitely some procompression on my favorite things as well! NikePro Shorts/Capris/Tights, ProCompression, and Nuun!!!!! This IS the mother of all giveaways! 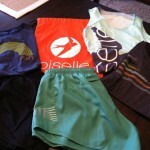 My list includes a couple more luxe flyte tops from Oiselle. Can’t have too many! Salted Caramel GUs are on my list of favorite things! Great giveaway! I LOVE everything on this list! Some of my other favorite things… everything in the Oiselle flyte series and honey stinger waffles!! Those shoes look awesome! I am definitely in need of a new pair. What no cars? 😉 I’m here for the Mizunos more than anything else. I’d be interested to try most if not all of these. Not sure about the neutral shoes – I’m an overpronator – but many of the rest I haven’t tried, like Nuun (I know, behind the curve)…. Sleep is on my list! Great giveaway! I would love to try the socks- I’ve heard great stuff about them, and the shoes of course 🙂 On my favorite/wish list are a new pair of running tights. It’s getting chilly! my favorite running things are Mizuno Wave Creations, North Face gloves, Feetures socks, Nuun (and the bottle – love those bottles), Gu Chomps, Knuckle Lights, and my Garmin 410! Oh my gosh, this is legit the BEST giveaway I have ever seen. I want all of these fantastic items!!! I love seeing other runner’s favorites!! Love! Right now my favorite things are my Brooks! My UA base layers and winter hat! I love all those things! I am in love with compression socks! I’ve never run in Mizunos so that would be a pretty epic win! 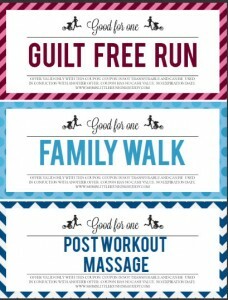 Many of my favorites are on the list already, but number #1 on my favorite things list are my I Run This Body t-shirts! On my favorite things– Saucony, my spibelt, anything compression, Clif Shot gels, shot blocks… so many!!! I could really use this as motivation to start running again! I just had baby #4 (but 1st c-section). my favourite things include my contigo water bottle (carry it with me all day to stay nice and hydrated), and my Roots roll over Tribe boots. not fitness related but i wear them every day and LOVE LOVE LOVE them! For marathon training and over the summer, my CamelBak was my savior!!! I’d have to add swiftwick, wigwam, injinji, and smartwool socks. Love the merino during the winter. Would love this giveaway! I have never tried compression socks. Thanks for hosting! I’m excited about the Mizuno Wave Runners — been hearing nothing but amazing things about these!! My favorite things list involves Brooks Running Shoes and Bondi Band headbands. i love the sparkly soul headband! Favorite Things: My old Oiselle Start Line tee is pretty cozy as well as my two zip-up hoodies from them. Also loving my Hoka shoes. Oh la la, great giveaway…I’ve been dying to try those Lux pants. My Lux long sleeve from Oiselle is one of my favorites, I can’t imagine the comfiness of both of those combined! Great list! I would add Lux Layer & Winona Tank from Oiselle – SO SOFT- and The Grid roller. I love compression socks!! So amazing. I am a new convert but i am so glad I gave them a try. they have saved my marathon training. I also am in love with Nuun. I obsessed over watermelon all summer long and stocked up in the fall. I also love lemon tea and citrus fruit. oh and tropical fruit. So amazing. Haven’t tried oiselle clothing yet, but I have heard amazing things about their products. Amazing giveaway! Nuun is definitely one of my favorites! There is so much goodness here! 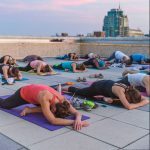 I would LOVE to win those Oiselle Lux Pants! all my favs! oiselle, nuun, and running headbands…. clearly runners know the best gifts for other runner!! I need a new pair of running shoes and some running pants for winter, so I would love to win this giveaway! injinji socks and the topo athletic st! I am loving Rogas (and it is Roga weather here in Charleston), my Nike GPS watch, my Petzl Tikka 2 headlamp, and my Gregory Dipsea hydration pack. Pro Compression socks are on my personal list of favorite things. They are incredibly comfortable to wear. 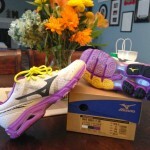 On my list – Mizunos, Polar, Sparkly headbands and cute Reebok workout clothes! Brooks shoes, Nuun, Honey stinger gels and waffles, UA cold gear, pro compression socks and what I need the most, awesome running gloves! This is an amazing giveaway! You have almost everything on my list. You can never have enough Nuun or Pro Compression socks that’s for sure. Everything else is an awesome added bonus. Love nuun, and Sweaty Bands! Love Mizunos! Would love to try the Waveriders! wow! This is the giveway JACKPOT!! so exciting! I love my pro compression socks for sure! Lululemon pacesetter skirts and cool racerback tanks, sweaty bands (though I’ve never tried sparkly soul and I hear they are similar), garmin forerunner, pro compression socks, NUUN, Asics Gel-Kayano 19’s.. though I’m always open to trying something new! I love my new lululemon speed tights! The side pockets are by far the best! Also love my Swiftwick socks! I love my Pro Compression sleeves! 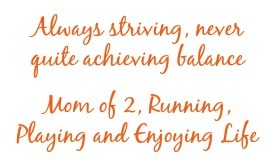 The one thing I’d add is race entries, especially ones for runDisney! I’m a die hard Mizuno fan. I’ve tried other brands and they just don’t have the comfort or durability. I had one brand tear out in the side of the shoe after less than 200 miles! Would love to win! Love sparkly headband! I love pretty much any workout gear! I need some new running shoes and compression socks! Those pants look so comfy and can’t go wrong with compression socks! Awesome giveaway! The pants look like something I’d like. It’s hard to find a pair that fits just right. I WANT ALL THE THINGS. #freeshit is my favorite. Favorite shoes: Mizuno Wave Riders, Favorite tights: Athleta, Favorite GPS: Garmin (even though is quite old). I typically don’t leave the house for long runs without my SpiBelt. It’s great to carry gels, phone and my ID. The mizunos! I’m wearing the wave rider 16 and would LOVE to try the 17!! Pro compression and sparkly soul are some of my faves. Also Brooks and Swiftwicks. For Christmas though, I’m crossing my fingers (and toes) for a Garmin. ProCompression socks and Mizuno wave riders are for sure my faves!! I love my Mizuno Wave Riders and Pro Compression Sock. I want to try Nuun! Nuun hydration in cherry limeade is one of my faves!!! I love Oiselle goodies, adidas supernova and PICKY BARS! These are awesome things! I love pro compression socks and I just got my first tee from Oiselle! My Garmin Forerunner 10 is one of my favorite things. I’ve really been wanting to try Oiselle gear. I’ve been dying to try a pair of Mizuno shoes! And I would love some procompression socks! Again, thanks for having this giveaway! Love all things by Oiselle and pro compression! Favorite Things: my Garmin, Nuun, SweatyBands, Mizuno Wave Inspire 9, earwarmers/fleece gloves, Pro Compression socks — My Wish List would be Oiselle and Athleta items! Thx for the giveaway! New reader here! Awesome blog and awesome giveaway! I pretty much love all of these — plus Clif Shots, Clif Bars, and my Nathan running vest. I want a pair of Beyond Yoga Leggings! ooo! I love that watch too! A couple of my favorite things that isn’t covered by your great list are the Oiselle diamond roga shorts and feather burnout tee! So cute! I’m looking forward to being able to work out again post baby and would love to win this. I need those wave runners! Awesome giveaway! My faves are Brooks shoes, flipbelt, Nike Pro capris, Road ID and Brady Bands! Thanks for the chance. new running shoes and a gps watch! Man, this all would be awesome to win. Since I am on a tight budget saving for Grad school I could use some special treats. These are some great items! I have my eye on those Lux pants for sure!!! ProCompression are my absolute fave running item! They help keep shin splints at bay! I’m starting to realize more and more how much I need to start wearing compression socks – I don’t have any! Looks like a great group of treats! 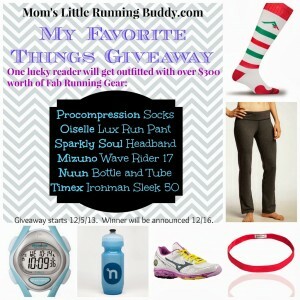 The mizunos, nuun, pants & headband are on my Christmas wish list! I would love to win! PS – I’m hoping all is well with your heart! Do you have a copy of Maffetone’s Big Book of Endurance Training? It is a v. worthy read, even with all his free content! All of these are on my list! Katie this is freaking awesome! Love me some Nuun, Pro Compression, and would love to try the Mizunos! Thanks for hosting this giveaway. I would add my Garmin and my headbands to the list of my favorite things. Procompressions and Mizunos definitely make the top of my list as well! Yesterday marked my first run since having baby. It’s been a long 7 weeks. Some new gear is a must! Great giveaway… obviously like the same things b/c I already followed all of these companies! lol My Christmas list is easy this year… a healthy foot and clear chest! These injuries/sickness are killin’ my holiday spirit right now! Rarely run long without my Nuun. I’d love to check out those Procompression socks! Keep doing what you do, thank you! Ekk love all these things! Mizuno wave rider’s are one of my fav shoes!!! Procompression and mizuno’s! They are by far my favorite things. Doesn’t get much better! Ohhhhh I love everything!!! Thank you for the chance to win this!!!!! Happy Holidays! I love Oiselle and Nuun Hydration! Great suggestions everyone! I don’t know where I would be without Oiselle tights and my Garmin! Great giveaway! I love everything… but especially the Wave Rider 17s. I have my eye on a pair! Oh man, I have some tights & long sleeves on my wish list. I’d love an Oiselle top! The wave rider 17’s are definitely on my list as is anything Oiselle!! My Newtons and some NUUN of course! What an amazing list of goodies! It’s been way cooler than normal SoCal weather, so some long running tights/capris are on my list this year! This year instead of things, I’m asking for help paying for my Crossfit membership 🙂 More expensive than some usual “things” but definitely what I’d prefer! I love my Hamilton personal blender I got from Amazon. It’s perfect for making smoothies for one. I love my spinach smoothies! i love my iPod shuffle! Procompression socks for sure! And definitely cash for races! Some of my favorite things are my iPhone and pro compression socks. Also sparkleskirts. Balance bar helps to protect against falling. I have actually been buying these New Balance sneakers every year, they are best for my everyday walks. I have a challenging foot to sit and have been buying New Balance shoes for close to twenty years. In addition, the shoes squeaked, something they had in common with a previous set of New Balance WW847 (which I stupidly kept, hoping the problem would work itself out; it didn’t).